"As a professional, I do not like surprises -- and I know that my clients like them even less. Our value of ‘commitment’ means we do not give our clients surprises." 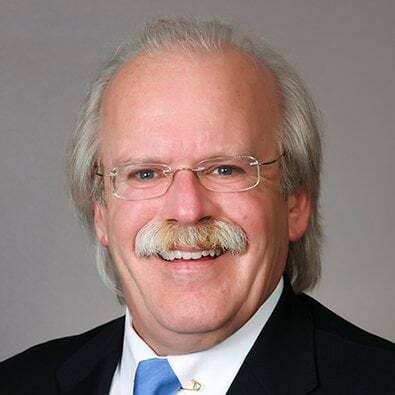 William "Bill" Krucks is a Freeborn founding Partner and member of the Litigation and Corporate Practice Groups. Bill has been working with many of his clients for more than 25 years because they know they can leave the worrying - and the winning - to him. His reputation for winning is due, in no small part, to his devotion to spending at least two hours each day reading law journals and to staying current on a range of business, labor and employment challenges that his clients regularly face. Serving as an efficient and knowledgeable advisor, Bill makes sure his clients are aware of the big issues of the day and well-prepared for what's to come, from understanding union activity, to pensions, wage-and-hour litigation and pending healthcare reform requirements. Whether they are hiring or firing employees, negotiating business contracts, dealing with employment claims and litigation, or facing various other contentious issues, clients know that Bill will achieve justice for them, and that he'll do so quickly. Bill focuses on advising and representing management in the full-range of legal issues surrounding operating a business in the United States in the 21st century. More specifically, his areas of focus include: Complex Disputes; Employment Litigation; Environmental, Health and Safety; Insurance Coverage and Regulation; Land Use and Zoning; Occupational Diseases and Work Injuries; and Products Liability. Bill has tried cases in state and federal courts, before federal and state agencies, and in arbitration proceedings. He regularly publishes legal articles on labor and employment law for journals and newsletters. While in law school, he authored two articles that were published in the Mississippi Law Journal. Served as General Counsel to a high-tech manufacturer, providing full service support, handling every legal need spanning intellectual property, business litigation, employment, business contracts and corporate governance. Helped establish a public employer insurance fund, comprised of about 600 public entities in the State of Illinois, and served as the fund's General Counsel for more than 25 years. Panel participant, "Careers in the Tort Trial and Insurance Industry," presented by the ABA Tort Trial & Insurance Practice Section (TIPS), 2014 ABA Midyear Meeting (February 6 – 9, 2014). Partner, Bill Krucks, was recently appointed to the Winnetka village council. The news appeared in the Chicago Tribune on April 27, 2014. As part of an event celebrating the Centennial of Workers' Compensation in America, William N. Krucks, a founding partner of the firm, was inducted as a fellow of the College of Workers' Compensation Lawyers.